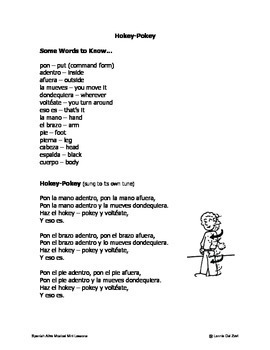 "Hokey-Pokey" (a fast, jazzy Spanish version) and "Así me lavo las manos" is a professionally recorded short and simple song to reinforce your beginning Spanish lesson for kids about body parts and washing. 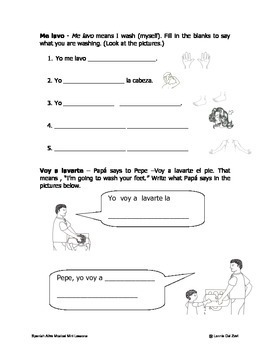 The two songs (Así me lavo las manos” and the “Hokey –Pokey” are a good additions to your program for young children or Spanish 1 in middle or high school The words to the song are included, as well as 5 worksheets on the names of body parts, Me lavo, el, la, las, los, adentro, afuera, voy a lavarte. 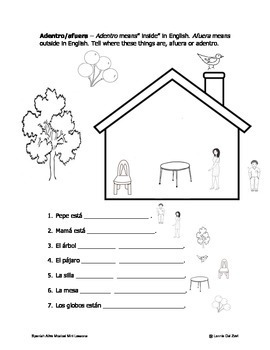 Also included are suggestions on how to make the lesson more meaningful. The sheets and the MP3s are zipped. Spanish ¡Alive! 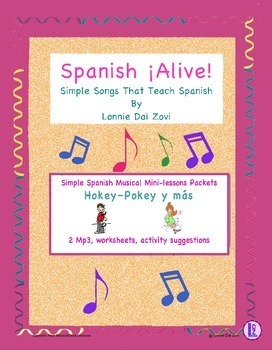 Musical Mini-lessons –Hokey-Pokey y más By Lonnie Dai Zovi by Lonnie Dai Zovi is licensed under a Creative Commons Attribution-NonCommercial-NoDerivs 3.0 Unported License. Based on a work at www.vibrantepress.com. Permissions beyond the scope of this license may be available at lonnie@vibrante.com.